Maybe don’t use the animation directory since it’s ugly and old and missing a ton of stuff. Repo is where it’s at. It’s a wiki topic so… I wiki’d it. I had to remove most @'s because of a change in policy (limit to 10 per post), so it should be easy to edit again if anyone wants to reword what I wrote. Now I have finished my work. How can i insert this animations in the FEBuilder for FE7? I wanted to draw Celica last year. It’s time to start next work. At the request of Wan, I’m moving this to a proper thread for animations. Post will be the same as other, but I will mention I’m currently working on an Adventurer animation as a reskin of Sniper plus it being able to wield staves with a cloak. I create things that I need for my fun projects! Nobody else worked on them, although Wan was great at helping me make sure that it looks good (but I’d like my name credited if you use them, feel free to do so). Here’s a winged Thief animation that I made a while ago. Wan really helped me make it a bit better. Her wings fold up at standing and fold out when attacking. I attribute the inspiration for this one to the Ephraim project DerTheVaporeon and Pikmin1211 worked on where they gave them animations for all of the physical damage types. The palette was also taken from DerTheVaporeon and Pikmin1211’s repack of Ephraim. And here’s a makeshift Kitsune/Ninetails type transformation, with a dodge as a Thief. While it really isn’t a ‘kitsune’ or ‘ninetails’ animation, it’s as close as someone like me was going to get with the limited amount of effort I wanted to put into one joke. Not sure how to format this, but I will leave the links to each of them here. @2wb With all due respect, this topic has multiple 404’s, lacks lots of animations (especially those not cross-posted here from the other thread/other forums), isn’t fully accurate with some credits, and the original wiki hasn’t been properly updated in ages, opening up the possibility for people to think that certain animations don’t exist. (Also, and I’m biased here, the website is way cooler). Forcing people to post their animations twice to prop up a dying horse isn’t going to keep it alive. Perhaps it was presumptive of me to declare this thread dead without first starting a discussion, but it’s a bad user experience to send people to two different sources of truth to find information, especially when one of those locations is as verifiably inaccurate and out of date as this one is. I understand not wanting to give Klok credit; I made a whole website to keep him from getting credit. But at the end of the day, the Ultimate Repo thread is where the activity is and the drive/website are where the most accurate results are. If this is really a contentious issue, it’d make sense to determine which thread people prefer with a poll. 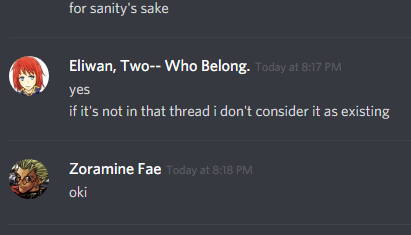 Regardless, I strongly suggest that moving forward we pursue only one of these threads for animations, as our goal should be to make it as easy and straightforward as possible for anyone (whether it be FEU regular or a random who stumbles here) to find animations. I understand not wanting to give Klok credit; I made a whole website to keep him from getting credit. It’s okay because now I have less work to do and if the other losers had kept to their word they would have actually made a better repo but naturally only Shin has the work ethic needed to actually DO the job. The restrictions of a wiki post have nothing to do with me, I can’t change that. However, posting on the wiki is and has always been possible, the direct linking to usernames became a problem later on. Posting a person’s name is still possible. Regardless, before the wiki post portion became an issue, people were not following the format in order to properly credit people or post their animations. The organization was ruined as a result as well (and the person who often complained to me in private was always able to re-organize it again). As for 404s, that has everything to do with the poster and nothing to with the thread. I don’t think anyone pointed a single finger at you. The problem is that this thread is old and fucked up. Doesn’t matter whose fault that is, just that it’s true. Regardless I feel responsible because I created the thread, and I lost the heart to fix the problems that manifested a long time ago.